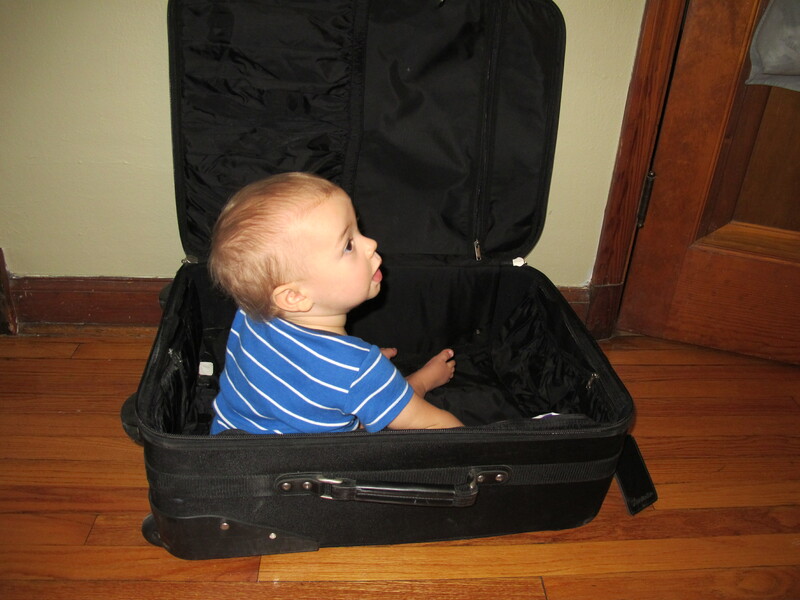 I’m sure I’m not the first person to consider this method of simplifying travel with a baby. It would be well worth the checked bag fee, though it would need to include a warning: Caution — Live cargo; beware of teeth! This entry was posted in Cuteness, My Life. Bookmark the permalink. Ha, I wish! Our first of four flights total (2 out, 2 back) was actually pretty smooth. The remaining three were interesting, especially the final one where it was like sharing a seat with a wild animal climbing all over me.